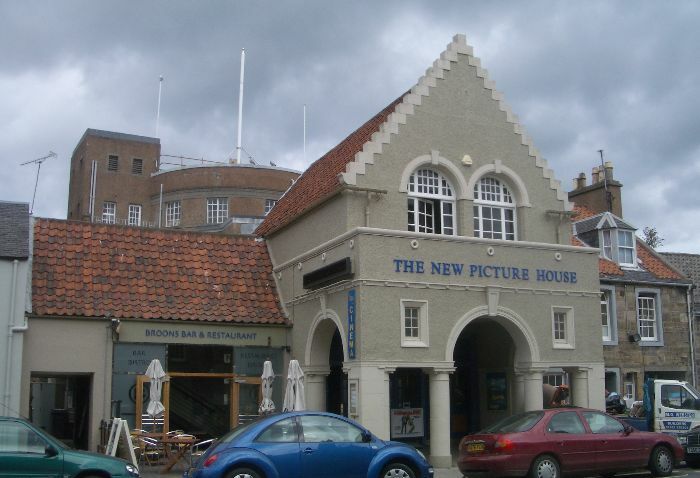 The New Picture House in St Andrews opened in 1931. It has a long, narrow auditorium, with a balcony and a barrel-vaulted ceiling. Designed by local architects Gillespie and Scott, two dressing rooms were also provided to service a reasonably deep stage, which until recently was used for local amateur shows. A second screen was added under the balcony in the early 1980s, and a third in the other half of the rear stalls in 2002. In 2005, the seating was Screen 1 - 475 seats (in original circle and front stalls); Screen 2 - 124 seats, Screen 3 - 100 seats (both in original rear stalls). The main auditorium is decorated with a series of paintings of the local area - including the cinema itself - and the embossed letters NPH (for New Picture House) crown the proscenium. Numerous original decorative features remain intact in the building, including original doors and signage, and remnants of the original gas secondary lighting system (no longer used!). As of July 2005, the balcony is currently being extended forward onto the projecting roofs of the mini-screens below, to providing additional luxury seating for the main screen. The Picture House has a long outer foyer with an island paybox, leading to a circular inner foyer with a domed ceiling, from which steps lead up to the balcony. The original cinema restaurant/cafe, situated under the balcony rake and above the foyer, is now sublet as a bar/restaurant, and accessed from a new entrance to the left of the cinema entrance. The cinema has an unusual exterior, which creates a covered area over the pavement outside to shelter patrons waiting to pay. Along with the Campbeltown Picture House, it is now one of only two cinemas in Scotland where one can see a film from the best seats in the house - at the front of a balcony... 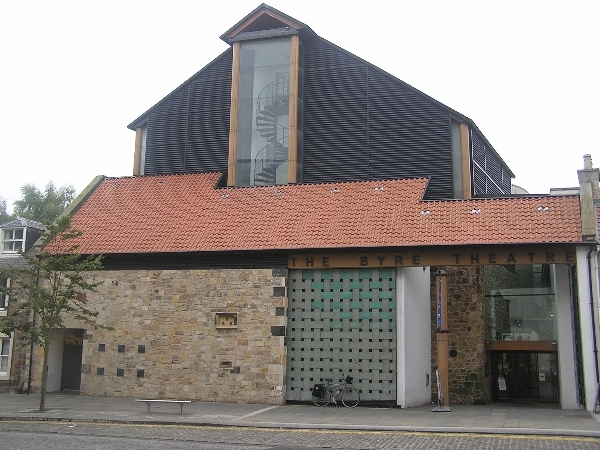 The New Picture House was listed Category B by Historic Scotland in 2008. A full gallery of interior pictures from the New Picture House can be found here. Thanks to Paul Carey for allowing us access to the building. Photo above and information courtesy of St Andrews Museum. Opened in 1913. Showed the latest silent films with live orchestral accompaniment for the ‘big’ films and during the tourist season. Sound was installed in 1929. 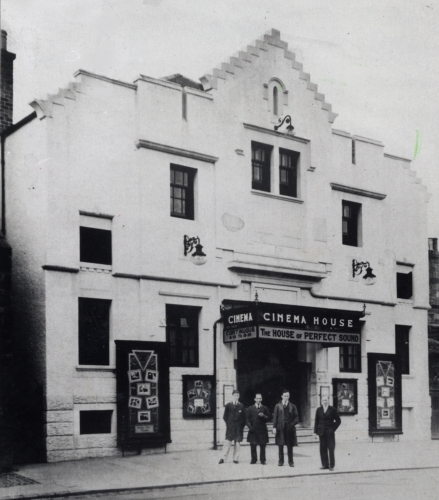 Competition came in the form of the New Picture House on the opposite side of North Street in 1934. The Cinema House closed suddenly in December 1979 when manager of 51 years, Mr Jack Humphries, retired. The building was demolished in the early 1980s, and the site is now occupied by now block of flats. Picture above shows the façade of The Cinema House with staff taken to advertise the installation of sound in 1929. From right to left are: Alex Gourlay (winder boy, later head projectionist), Charles Findlay (projectionist), Jimmy Mitchell (projectionist), and Jack Humphries (manager). Pictures on the left show (upper) the façade of The Cinema House after closure – building derelict in c.1980, and (lower) the site during demolition - again courtesy of St. Andrews Museum. The interior photos below were taken in April 1980, and are courtesy of the Scottish Screen Archive. Photos and information courtesy of St Andrews Museum. The La Scala building was an old Roman Catholic church formerly situated on the Scores (originally erected c.1886). 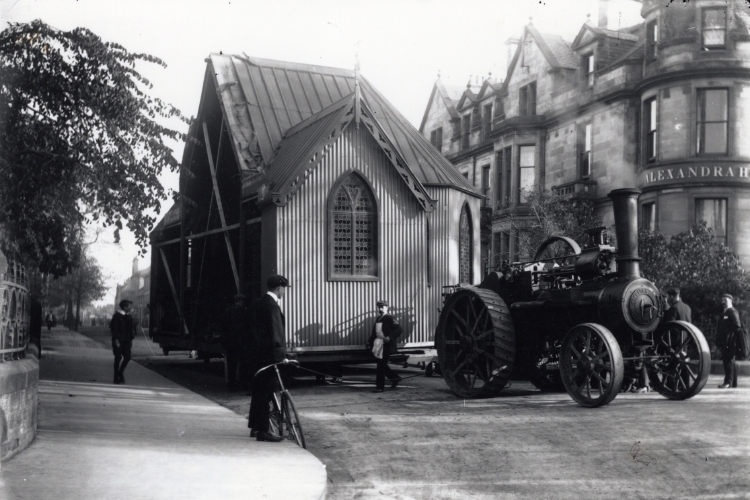 A corrugated metal and wood construction – known locally as the ‘Tin Tabernacle’ – it was transported to the site on James Street in three sections in 1909 [see photo above]. Officially named the La Scala, it was town’s only cinema (but also used as dance hall and roller skating rink) until The Cinema House opened its doors in 1913. The La Scala building was later used as a fruit and vegetable store but was demolished c.2001 and there are now flats on the site.